Back in April 1954, international radio monitors in New Zealand and Australia were surprised to discover a new country on shortwave. This new country was an island nation in the Pacific; the station was a low power operation; and it was on the air for only two hours a week. The Cook Islands are located in the central Pacific a little south of the equator and the radio station was a 100 watt Post & Telegraph transmitter located at Black Rock, a little west of the main town of Avarua on Rarotonga Island. The electronic equipment was used equipment gifted by the government of New Zealand and it was in use in the Cook Islands for occasional shortwave communication. The original programming from this diverted facility was intended for reception only at nearby island schools and it was on the air on Wednesdays and Fridays for one hour beginning at 11:00 am local time. The initial frequency for these schools broadcasts was 3390 kHz, though during the next month, May (1954), the channel was changed to 5050 kHz which provided good reception during local daylight hours. This new programming on shortwave in the Cook Islands was the beginning of official radio broadcasting in their island nation. 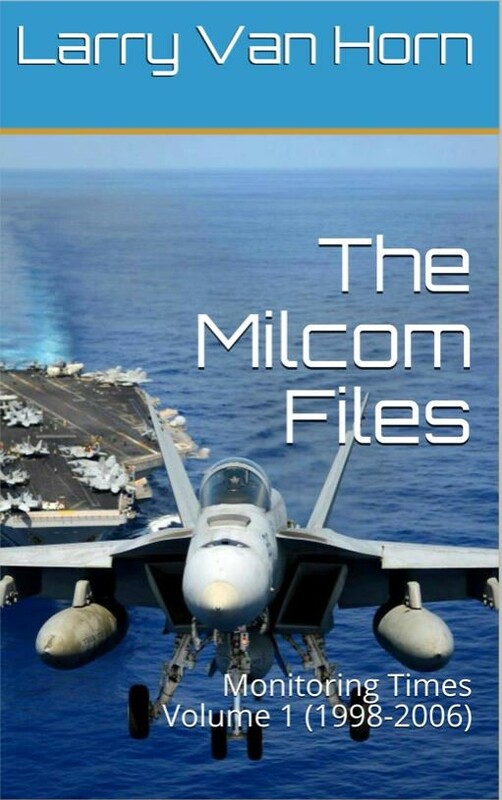 Previously the local citizens had to rely on night time mediumwave propagation from other Pacific island entities, or from New Zealand and the United States. Very few of the local citizens owned shortwave receivers back during that era. Three months after the introduction of the schools broadcasts on shortwave, a weekly half hour program was broadcast from the same station and this was on the air every Thursday beginning at 2:30 pm. It was the same 100 watt transmitter, though at times another unit rated at 500 watts was employed for this general coverage broadcast, and the operating channel was 6180 kHz. By this time, the broadcasting station was under the auspices of the Cook Islands Administration. An internationally recognized callsign was allocated to the station, ZL1ZA, though this radio broadcasting callsign gave the semblance of an amateur radio facility in New Zealand itself. Beginning on May 1, 1957, the channel in the 60 metre shortwave broadcast band was changed from 5050 kHz to 4954 kHz; and by this time programming was pre-recorded on tape by the Social Development Department in Avarua. 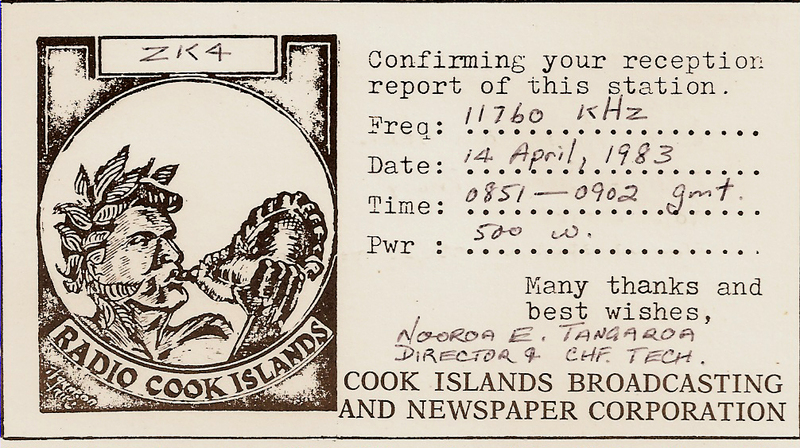 At this stage, the callsign of the radio broadcasting service was amended and ZL1ZA became ZK1ZA, thus reflecting the individuality of the Cook Islands as a separate geographic entity, though the callsign still gave the semblance of an amateur facility. 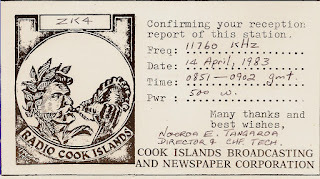 In June 1960, listeners in Australia and New Zealand noted that Radio Cook Islands was on the air on 4965 kHz with a two hour program each week on Thursdays, in which a bulletin of news was read in alternating languages, English and Cook Islands Maori. Exactly one year later (June 1961), the broadcast transmitters were removed from the Cable & Wireless station at Black Rock and re-installed at a new site 3½ miles distant, in Avarua itself. A new higher frequency shortwave channel 9695 kHz was deployed in an endeavor to overcome the obstruction of the signal by the nearby mountains. Then, exactly one more year later again (June 1962), the first mediumwave transmitter was installed, apparently co-sited with the already existing shortwave transmitters in Avarua. At this stage, the callsign ZK1ZA was transferred to the new mediumwave unit with 150 watts on 820 kHz. In addition, new callsigns were allotted to the shortwave transmitters, and 5050 kHz was redesignated as ZK5, and 9695 kHz became ZK3. The power of the two shortwave transmitters was rated at 500 watts each. Soon afterwards, a new 10 kW mediumwave transmitter with a 350 ft mast was installed in the grounds of the Takitumu Primary School at Matavera, 5 miles clockwise from the studios in Avarua. The original mediumwave unit on 820 kHz was closed in favor of the new larger unit on 600 kHz. At this stage, states the Te Ara Encyclopedia in New Zealand, the government communication station ZKS in Avarua maintained contact with New Zealand, and with 12 sub-stations throughout the Cook Islands. 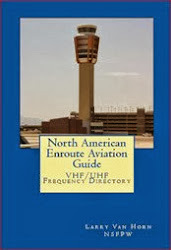 In 1967, three transmitters at 5 kW were ordered for installation in the Cook Islands; and in 1974, the legendary George Jacobs at the Voice of America arranged for the VOA transmitters on 11760 kHz to go silent on one occasion so that listeners in the United States could log the distant shortwave station in the South Pacific. However, another station on the same 25 metre band channel, Radio Havana Cuba, remained alive, thus blocking in North America the signal from the Cook Islands. Two years later, Radio Cook Islands was noted in Australia, New Zealand and the United States with test broadcasts on shortwave, using a new antenna system. A broadcast in the French language was noted in California on 5045 kHz, apparently for the benefit of listeners on French islands over the Pacific waves and somewhat nearby to the Cook Islands. Over the years, several international radio monitors living in the United States, New Zealand and Australia have visited the Cook Islands, and one visitor, Bill Whitacre reported in 1980 that the shortwave transmitters were located at the Telecom Training Center a little west of Avarua, with a golf course under the towers. 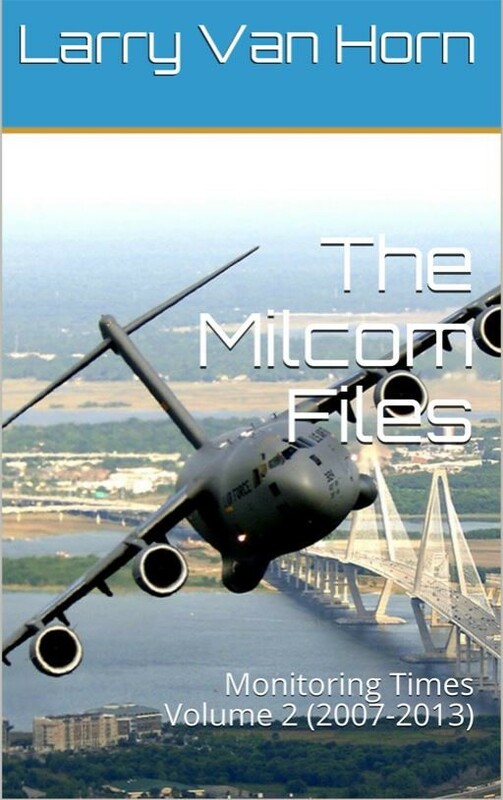 However, the technical equipment was in disarray with 5045 kHz the only shortwave unit still on the air, using parts cannibalized from the other units. A secondary mediumwave transmitter in Avarua was activated on 864 kHz for local programming when the National Assembly was in session which was heard on the main mediumwave channel 630 kHz. In May 1992, a disastrous fire destroyed the C&W transmitter building, and that was the abrupt end of shortwave broadcasting from the Cook Islands. The land remained vacant for a while and subsequently a Courthouse was constructed on the site.